Hays, Ks. 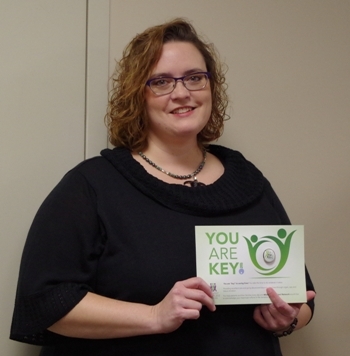 (April 27, 2016) – Dr. Heather Klatt, Hospitalist at HaysMed, was recently honored by the Midwest Transplant Network (MTN) with the “You Are Key” recognition. This award highlights hospital staff that go above and beyond to provide excellent care to potential donors and their families. The MTN is a certified not for profit Organ Procurement Organization (OPO) that facilitates organ donation and education in Kansas and western Missouri. During a recent donor case at HaysMed Dr. Klatt worked with the transplant team while they were on site during the day and made a return trip to the hospital and remained on site for several hours to support the transplant team so they could honor a patient’s wishes to be an organ donor. She went above and beyond and because of this dedication two people were saved through organ donation. Dr. Klatt was presented an award during a ceremony at the hospital earlier this month. 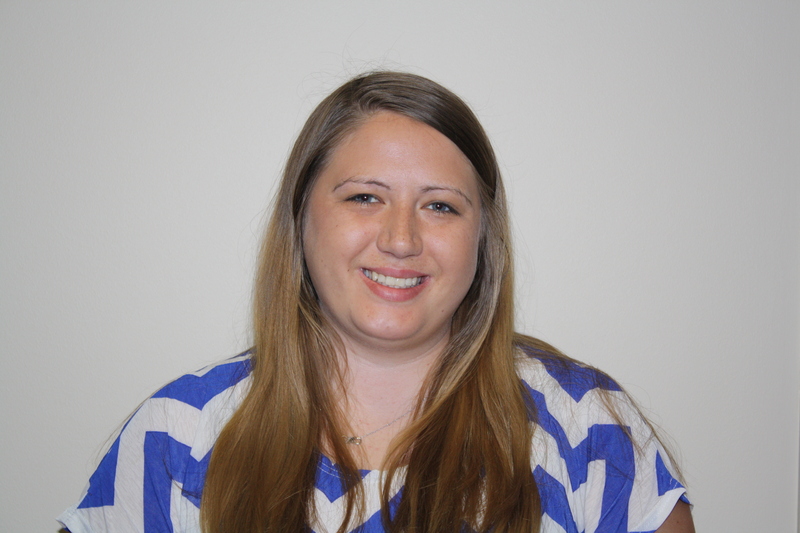 She assists the HaysMed Organ Tissue and Eye Donation Committee with making transplant arrangements. Organ donation is a gift that provides hope and new life. If you are interested in more information on organ donation please contact the HaysMed Organ Tissue and Eye Donation Committee at 785-623-5503 or email dorothy.gideon@haysmed.com. The clinic, located at 2501 East 13th in the Oak Park Medical Complex is open Monday through Friday from 8:00 am – 7:30 pm and 9:00 am – 4:30 pm on Saturdays. Convenient Care is designed for minor injuries and illnesses. They treat conditions that require immediate attention but are not considered to be life-threatening or severe enough to be cared for in the hospital emergency department. The clinic does not provide emergency care. Patients who present with serious illness or injury will be sent to the emergency room with appropriate transportation that may require an ambulance. Convenient Care is closed on Thanksgiving and Christmas. Hours on other holidays including New Years Day, Memorial Day, 4th of July, Labor Day and Christmas Eve are 9:00 am – 5:00 pm. During storm emergencies, the public is urged to watch the Hays Medical Center official Facebook page for announcements regarding early closures. Hays, Kansas (April 25, 2016)—HaysMed is celebrating Patient Experience week April 25 through 29. This week provides a focused time for organizations to celebrate accomplishments in improving the patient experience and show appreciation to the patients who choose HaysMed as their healthcare provider. On Wednesday, hospital staff will be providing freshly baked cookies to patients and visitors at the hospital to thank people for choosing HaysMed as their provider of choice. They will also include thank you notes on patient meal trays. HaysMed implemented four Service Excellence Teams (SETS) during the last year to focus on the patient experience. These teams meeting regularly and discuss different aspects of improving the patient experience. The Patient/Family Advisory Committee is comprised of both HaysMed Associates and members of the public. They meet monthly and serve as a link between the community and the hospital. Community members provide a key insight and unique perspective of the patient experience. The Patient Experience and Measurement Team analyze the HCAHPS data on Customer Service and makes sure that all Associates understand the data and what part they play in the customer experience. They also are responsible for working on specific patient experience initiatives during the year. The Leadership Development and Standards Team is responsible for evaluating standards of performance, supporting those standards and hardwiring them into the culture of the organization. They also aid in planning, and execution of leader development events at the hospital. The Associate/Physician Engagement Team works on reward and recognition, celebrations and organizational wide priorities identified through internal Associate surveys. The teams are comprised of Senior Leader Champions, a Team Leader and 8 to 10 frontline staff. The teams meeting on a regular basis and then report up to an overall SETS Steering Committee which then ultimately reports to the Board of Directors. The end result of this initiative is to focus on patient centered care, improve patient communication and ultimately improve patient satisfaction. Hays, Kansas (April 20, 2016) – The next session of Coffee and Conversation will be held Tuesday, May 3, at the Hays Orthopedic Lobby, 2500 Canterbury Drive, Hays Kansas. Participants are asked to use the West Entrance. The program begins at 5:30 pm with healthy snacks followed by the discussion from 6:00 pm – 7:00 pm. The program is designed for those who have had Open Heart Surgery, Stents (PTCA), Congestive Heart Failure (CHF) or a Heart Attack (MI) and the people who care about them. or call 785-623-5500. Registration is required. Hays, Ks. (April 15, 2016) – The Center for Health Improvement will offer Lifeguard certification courses in May. Lifeguard Recertification will be held May 7th from 8:00 am – 5:00 pm. The course will re-certify participants in Lifeguarding, First Aid and CPR for the Professional rescuer/AED. Enrollees must be 15 years old and currently certified as a Red Cross Lifeguard. The fee for the course is $100 and includes a 2 year certification and digital materials. The deadline for registration is May 4 and the course is taught by Taylor Goos. Lifeguard Certification will be held on May 25 and 26 from 8:00 am – 5:00 pm. The course is taught by Taylor Goos and the fee is $180 which includes a two year certification and digital materials. At the completion of the course participants will have certifications in Lifeguarding, First Aid and CPR for the Professional Rescuer/AED. Participants must be 15 years of age and complete prerequisites to meet eligibility requirements. Registration deadline is May 11. (Hays, KS) April 15, 2016 – HaysMed’s The Center for Health Improvement is proud to partner with The Medical Fitness Association to sponsor the 12th Annual Medical Fitness Week, April 23 – 29, 2016. The Center is celebrating with several free programs open to the public. MOVE150 is an activity encouraging participants to complete 150 minutes of activity during the week. You can pick up a MOVE150 card at The Center that lists your activity challenges for the week. Participants are eligible to win prizes ranging from free memberships to CHI to t-shirts. WALK10K challenges participants to walk 10,000 steps per day for the week. You can pick up your log sheet at The Center. Complete the challenge and be eligible for prizes. Family Fitness Spring Blast will be held Thursday, April 28th 6:00-6:45pm rain or shine. Bring your family and friends and join us on the HaysMed Fitness Trail to usher in Spring with outdoor fun! CHI Group Fitness Spring Blast is scheduled for Saturday, April 30th 8:00-11:00am. Join instructors from CHI as they lead classes in a variety of formats throughout the morning including: Yoga, Pilates, Spinning, Water Aerobics, HIIT, and lots more! Great workouts for any fitness level. In addition, the public is encouraged to use The Center for free during this week to try out the equipment and various group classes. Participants need to be age 13 and up and should check in at the front desk. The goal of the Medical Fitness Association initiative is to promote an increase in physical activity levels in all ages and to highlight the medical fitness difference. During this international event medical fitness centers throughout the U.S., Canada, Brazil, Europe, and Asia are offering resources and educational opportunities for their communities promoting the medical fitness difference and raising awareness of the benefits of a healthy lifestyle. For more information, call The Center for Health Improvement at 785-623-5900. The new policy provides for healthier food options in the hospital cafeteria and throughout the facility and includes the following practices: healthy entrée options will be offered daily, nutritional facts will be posted for cafeteria menu items, the food budget will included at least 10 percent fresh fruits and vegetables, drinking water will be offered at no charge at all meal times in the cafeteria, no energy drinks will be sold, no foods will be deep fat fried, catering for internal meeting will contain healthy snack and beverage options, 70% of beverages sold will not contain added sugars, snacks sold in the cafeteria will include fresh fruits and packaged snacks containing zero grams of processed trans-fat and pricing and placement strategies will be used to make health products more attractive for consumers. 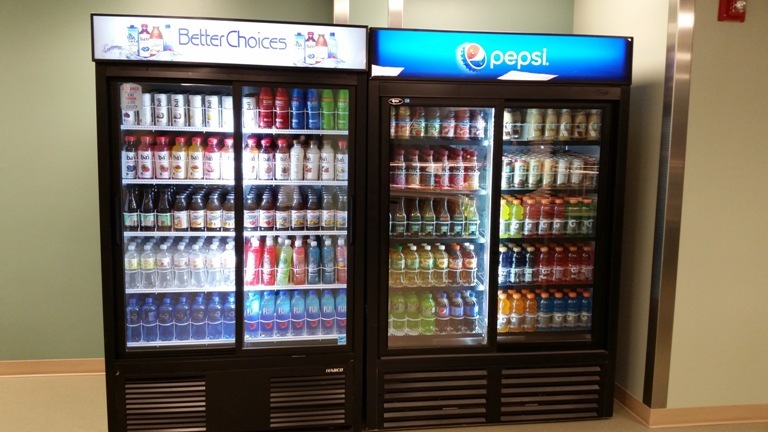 This enhanced access to healthy food aims to positively impact hospital employees, patients and visitors, while also helping to establish norms for healthier living for the community. More than 1400 health care professionals who are employed by HaysMed who seek dining options on the hospital campus will benefit from these changes. “It is our hope that these changes will have a long-term positive impact on the health of those who seek medical care at HaysMed.” said Fitzthum. Friday’s nearly perfect weather was a great incentive to take a stroll along the Hays Medical Center fitness trail and enjoy an outdoor lunch to celebrate HaysMed’s 25th anniversary. The medical center is the result of the merger between St. Anthony Hospital and Hadley Regional Medical Center on April 8, 1991. Some were HaysMed employees and sported T-shirts commemorating the event. Those attending also received a T-shirt. Lois Aschenbrenner came with her grandson, Chase, 3. The pair enjoyed the nature walk before eating lunch near the playground equipment. Chase’s mother and Aschenbrenner’s daughter-in-law, Tara, is a registered nurse and planned to join them for lunch. “It’s a great place. I’ve had medical work done here,” Aschenbrenner said. Those representing the St. Anthony and Hadley boards “had no idea where it was going to go. They just had this faith it was the right thing to do,” Jeter said. Many of the employees, physicians and board members have been at the medical center for the full 25 years. “I didn’t get here until 1996, and I think the seeds of our success had been planted,” Jeter said. Those attending were invited “to take a little walk down memory lane,” Jeter said. Some of the highlights noted along the commemorative walk included the first open-heart surgery in 1998, the Center for Health Improvement opening in 2002, 3D mammograms and Bickle Family Tower opening in 2013. Kayla Lonnon and Lisa Unrein came to support the hospital. “We knew they were doing the trail (markers), and we wanted to see the different milestones,” Lonnon said. “Yeah, it’s really neat. Some of the stuff you don’t realize how many years ago that was that they added a service,” Unrein said. After walking the trail, celebrants were treated to a healthy lunch of a turkey sandwich or chicken-caesar salad. “It’s very exciting. We are equally excited about the future, the next 25 years, and we don’t know where it’s going. We’re excited about our opportunities here,” Jeter said. Not every community in Kansas is fortunate or large enough to have its own hospital. Some exist primarily because of local taxpayer support while others barely hang on as decreasing Medicare reimbursements take their toll. Mercy Hospital in Independence shut its doors last fall, leaving the southeast Kansas community without a hospital for the first time in more than 100 years. Mercy was the 56th rural hospital nationwide to close in the past five years. Voters in Sheridan County just yesterday shot down a proposal to fund a $16.9 million renovation of the Hoxie facility. In short, no city or town should take its medical center for granted. With state and national policy decisions having dramatic effects on healthcare facilities, not every hospital can be assured of its continued existence. Residents of Hays are blessed not to have to worry about such trends. Having one of the state’s strongest regional hospitals providing quality care and serving as the city’s top employer, HaysMed is here to stay. The hospital, which had more than 300,000 clinic and outpatient visits last year and generated more than half-a-billion dollars in total patient revenue, is going strong. The medical center is celebrating its 25th anniversary this Friday. To fete its silver milestone, HaysMed will have a come-and-go celebration from 11 a.m. to 1:30 p.m. that the public is encouraged to attend. There is a lot to celebrate. In 1991, St. Anthony Hospital and Hadley Regional Medical Center were merged to provide one unified option for patients. “The merger combined two great hospital cultures that facilitated growth in all areas of health care,” said Ken Beran, HaysMed board member and past chairman, in an interview with The Hays Daily News. Since then, the facility has done nothing but grow — both in size and scope of services offered. Licensed to have 207 beds, the Hays campus features several well-reputed centers of excellence. Amongst others, the DeBakey Heart Institute, Dreiling/Schmidt Cancer Institute, Center for Health Improvement and Hays Orthopedic serve patients from throughout western Kansas and beyond. HaysMed has its Convenient Care Clinic — currently operating at the Oak Park Medical Complex — as well as the St. Rose Health Center in Great Bend and Pawnee Valley Community Hospital in Larned. HaysMed is one of the region’s top economic drivers. With 1,544 employees system-wide, payroll for the past fiscal year alone was $80.5 million. Looking at just the Hays center, approximately $90 million has been invested in new construction and renovations since the merger. Add in capital purchases of specialized equipment and that number jumps to $150 million. Investment extends to highly qualified specialists as well. HaysMed has 80 physicians and more than 100 advanced practice providers to help people be healthy. “We are absolutely continuing every day to understand this dynamic industry we’re in and make bold and innovative decisions going forward,” said Dr. John Jeter, HaysMed president and chief executive officer. We are grateful this hospital is committed to making Hays and the surrounding area a better place in which to live. HaysMed continues to earn its keep 24/7. Community members who wish to acknowledge the significant contributions this medical facility has made for 25 years should attend the celebration Friday. Visitors are encouraged to park in the lot on the southeast side of the hospital. T-shirts, box lunches and a walk around the fitness trail will follow the opening remarks. Before HaysMed was established, two religiously operated facilities — St. Anthony Hospital and Hadley Regional Medical Center — separately serviced patient needs in the area. In 1991, the two merged as one, combining two belief systems and providing one unified option for patients. “The merger combined two great hospital cultures that facilitated growth in all areas of health care,” said Ken Beran, HaysMed board member and past chairman. When the two operated separately, Catholics primarily accessed St. Anthony for medical services, while most non-Catholics went to Hadley Medical Center, which was sponsored by the Methodist Church, according to John Jeter, HaysMed president and chief executive officer. In the early 1970s, both hospitals underwent significant expansion projects. After the expansion projects, Hays saw tough times, according to Jeter. The economy began to struggle due to unemployment, low oil prices and low wheat prices. In turn, the depletions hurt the hospitals. “Both hospitals are sitting here with a lot of debt from all their equipment they bought from the expansion projects, and then the economy was really in trouble,” Jeter said. Facing that reality ultimately led to private, secretive meetings between the two medical facilities, as they desperately tried to find a solution to their financial problems. After the decision to merge was made, controversy stirred in the community, and it took some time before the concept was accepted. “People had tremendous loyalty to one hospital or the other, so the idea of putting them together was really controversial and there was concern,” Jeter said. Jeter’s father, Norman Jeter, actively was involved with the establishment of the merger. He was a lead negotiator for Hadley Regional Medical Center, while Sister Mary Mollison, with the Sisters of St. Agnus, led the negotiation for St. Anthony Hospital, according to John Jeter. After the decisions were made and finalized, the two medical facilities unified as one, becoming Hays Medical Center — later taking on the name HaysMed. Jeter said the collaboration faced its challenges. But when he arrived in Hays in 1996, most things had been resolved. Since becoming HaysMed in 1991, the hospital has seen significant growth and development. In 1999, the $28.5 million hospital addition was completed, paving the way for other developments. Just a few of the strides included the first open-heart surgery in 1998, the opening of the Center for Health Improvement in 2002, PET scans first offered in 2003, spine surgery established in 2004, HaysMed assuming operations of Pawnee Valley Community Hospital in 2010, robotic surgery established in 2014, and HaysMed and Centura Health establishing St. Rose Health Center in 2015. “We are absolutely continuing every day to understand this dynamic industry we’re in and make bold and innovative decisions going forward,” Jeter said. From 11 a.m. to 1:30 p.m. Friday, the hospital will celebrate its 25-year anniversary with a walk around its fitness trail, while exposing key facts about the past 25 years and providing complimentary “on-the-go” box lunches. T-shirts will be given away to the first 150 people.